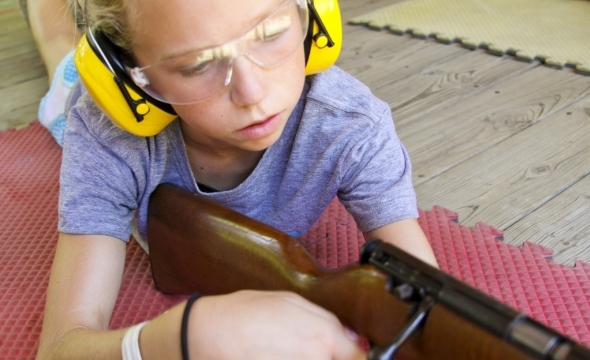 Learn how to safely handle, shoot, and maintain a .22 rifle. You will also earn patches as you progress in your mastery of target shooting. Come join me this summer at Camp War Eagle, check out the Riflery.